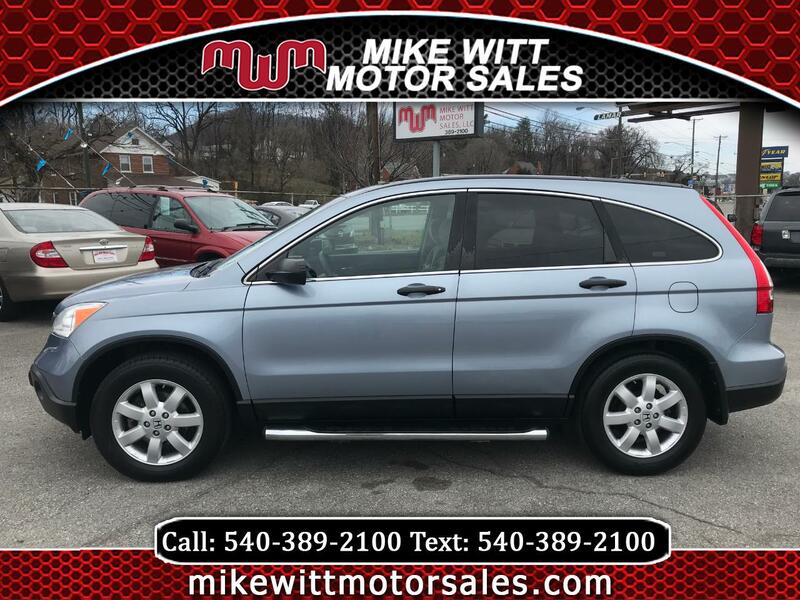 This 2008 Honda CR-V is in great shape and ready to roll today. It has new front pads and rotors and new rear pads as well as a fresh oil change. This 4 wheel drive SUV will get you where you need to be no matter the weather and will get great gas mileage at the same time. Need financing? We have some great financing sources and get everything done for you quickly and easily with approved credit. Call us today to see how easy it can be! 540-389-2100.